The Zero Draft of the Habitat III outcome document, drawn up by the Preparatory Committee has been published this week. UCLG has prepared a document that consolidates their initial feedback, for the Global Taskforce (GTF). The Habitat III Local Authority Hearings will take place at the UN Headquarters in New York on 16th-17th May. These Hearings, convened by the UN, are the first UN consultative process to recognize and treat sub-national governments as a specific constituency. This represents an important step forward for the visibility and influence of local and regional governments at international level. This will also be the occasion to celebrate the first session of the Second World Assembly of Local and Regional Governments, the mechanism through which the local and regional government constituency will make our joint inputs to the Habitat III process. These meetings will be broadcast live on the Web. We would also like to invite you to join the #Listen2Cities Twitter campaign, launched on 12 May to coincide with the first session of the Second World Assembly of Local and Regional Governments. The goal of the campaign is to bring visibility to the work that cities and local governments have been doing towards the New Urban Agenda and to call for national governments to listen to our recommendations. 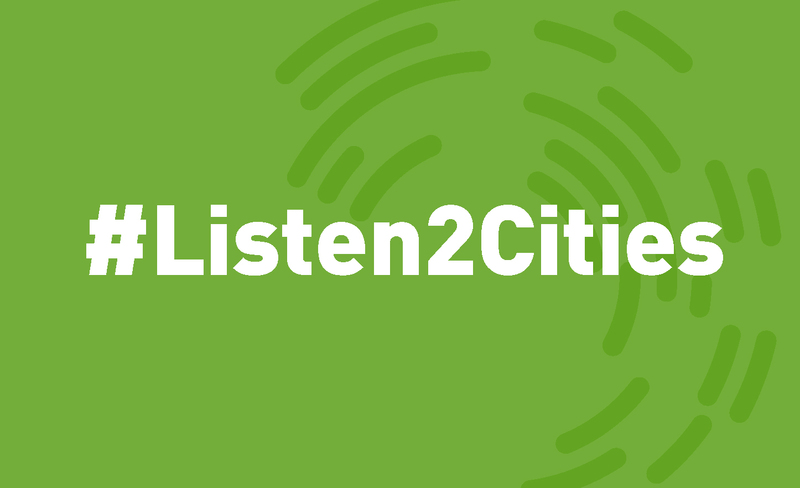 Join the conversation and share your messages using the hashtag #Listen2Cities. UCLG and the Global Taskforce will continue our work to make sure local and regional governments are involved in the definition, follow-up and review of the New Urban Agenda.